When the State Department claims to have struck a blow at the heart of the international terrorist finance network, even the most hardened of commentators takes the statement at face value. 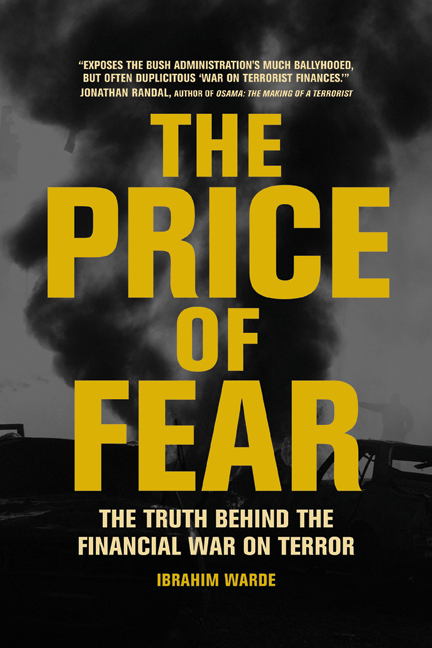 But as Ibrahim Warde argues in this myth-shattering book, the post-9/11 series of financial crackdowns initiated by the U.S. government has had virtually no impact on terrorism. This is because, as he demonstrates, these actions are based on a fundamental misconception of how terrorism works. Warde shows how operations such as the 9/11 attacks were actually financed, and he brilliantly juxtaposes the reality of shoestring budgets and envelopes of cash against the prevailing fantasy of a buzzing transnational network of seamless electronic transfers. Ibrahim Warde is Adjunct Professor of International Business at the Fletcher School of Law and Diplomacy at Tufts University. He is a contributor to Le Monde Diplomatique and the author of Islamic Finance in the Global Economy.